Barcelona, Spain will host the first event of the 2015 Stand Up World Series events. OAHU, Hawaii - The Waterman League is proud to announce that the beautiful City of Barcelona will open the 2015 Stand Up World Series in dramatic style from June 26th - 28th at Barceloneta Beach, downtown. This prestigious opening stop will set the scene for what will be an exciting year of racing, as the World's best compete across 6 global stops in their quest for a World Championship Crown. It will also form part of the European Cup, that starts the week before in France and continues on to Finland the week after, then to Italy late July before finishing in Germany in August. In addition to the World Class Sprint and Long Distance Racing that will take place on the 27th and 28th June, there will be Open Racing for everyone, featuring a 14' division, a 12' and under division, and both 10km and 6km distance courses to choose from, as well as a 3km short course. The Sprint Racing format will provide the standard heat format sprints for the World Series athletes, but also offer a fun racing format for all levels. We also continue with the widely acclaimed Na Kama Kai Youth Racing divisions for aspiring U16 Racers, as the future of the sport is celebrated here in Barcelona, but also across all World Series Stops. Take a look at the Supconnect Events Calendar here. After an epic first year in Fehmarn last year, the German Stop on the 2015 Stand Up World Series will return to this beautiful corner of Northern Germany for stop number 2 of the World Series and the Final stop of the 2015 European Cup from the 7th - 9th August. With music, entertainment and a world class venue on offer for both athletes and spectators, this unique stop on the Series provides the ultimate showcase for the sport in what is one of the fastest growing European markets. Featuring not only World Series and European Cup Racing, the Fehmarn World Cup of SUP will also host the German Championships, Na Kama Kai Youth Racing, Open Racing and Clinics not to mention Celebrity Team Racing that always draws in the crowds. Despite the inconvenience of the move in date, excitement is mounting surrounding the Brazilian Open of Stand Up Paddling that will embrace both the Racing World Series and Surfing World Tour for one of the most complete and exciting global showcases for the sport. Taking place in the bustling region of Sao Paolo, the World Series component of the Brazilian Open of Stand Up Paddling will run on the weekend of the 15 - 16th August, running straight after stop #2 in Germany, with the Opening Day on the 14th, welcoming the World's Best in true Brazilian fashion to this hotspot for Stand Up Paddling in Brazil. The Stand Up World Tour component will then follow on from the 18th - 23rd August, also serving as Stop number 3 for the World Tour, with the Grand Slam Title for the event also at stake. 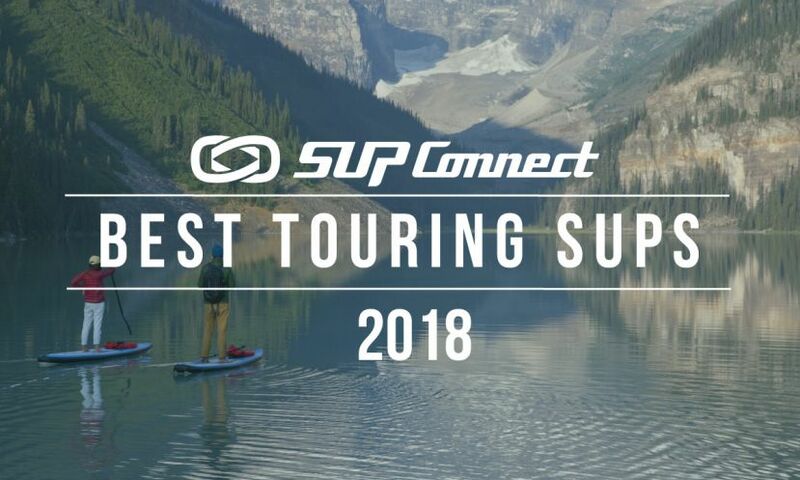 See all SUP Events on the Supconnect Events Calendar. The Hayama Pro Japan will bring the 2015 World Series to Asia from the 4th - 6th September, as Japan steps up to be counted. In 2014, the Waterman League took its first steps into Asia for the Chigasaki Pro Japan, a Challenger Series event that opened the doors to International competition in the region. We are excited to now return to Japan in 2015 for a full status World Series event that will take place in the Kanagawa Prefecture at Hayama, an incredible venue for what will be an incredible event. The Hayama Pro Japan will bring the World's best to Asia to celebrate the growth of the sport in the region and allow the Japanese athletes to step up and be counted on the global stage. The new venue in Hayama will provide an unparalleled viewing platform and dynamic courses for the World's best and all open paddlers, as this unique event will set a new standard for Racing at every level in Asia. Last year's Huntington Beach Pro Grand Slam once again showcased Surf City USA as one of the most exciting race courses of the season, as both Sprint and long distance courses provided some of the most competitive racing of the year. This year, the newly branded US Open of Stand Up Paddling (that more aptly illustrating its embrace of both World Tour Surfing and World Series Racing) will provide one of the most comprehensive sporting showcases of the year, as World Tour Surfing meets World Series Racing right at the heart of California Surf Culture in Huntington Beach. This year's edition of the US Open of Stand Up Paddling will run from the 26th September thru to the 4th October, with the racing to take place on the final weekend (2nd - 4th October). Turtle Bay on Oahu's Fabled North Shore has established itself as the ultimate arena for World Class racing action, with 3 years worth of dramatic finishes for the World Series now logged. The infamous Turtle Bay Pool Bar Surf break turns into an unmistakable race track that hosts the most exhilarating racing of the year and a fitting finale to the World Championship Series. This year's World Series Finals will take place from the 16th - 18th October and will once again pit the World's best racers against the World's ultimate race course. Take a look at what you can expect this year from the Stand Up World Series in the video below. To see more events for SUP Racing, check out the Supconnect Events Page.